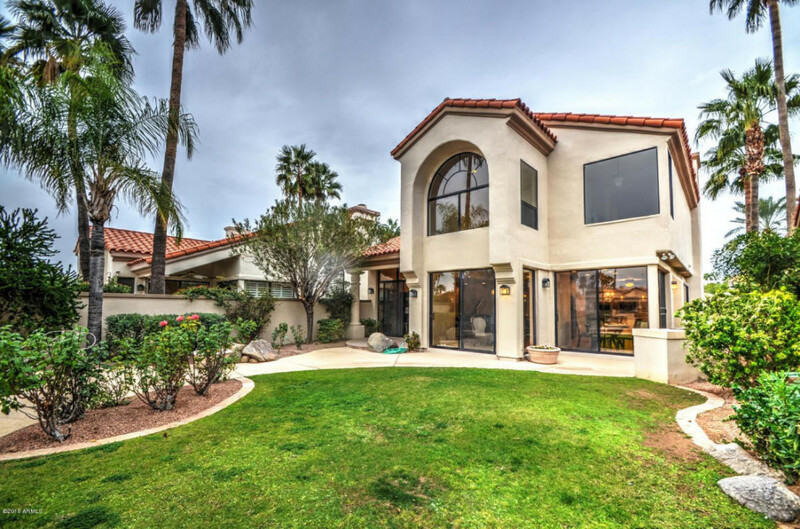 Absolutely beautiful, private, WATERFRONT, 3 bedroom, 2.5 bath home (southern exposure) with stunning, unobstructed mountain and Lake Serena views in the heart of Scottsdale! The kitchen, completely remodeled with Mascarello granite counters and stainless appliances, opens to the family room with with a gas brick fireplace for those cooler evenings. The living room and the dining room feature floor-to-ceiling windows to capture those incredible lake views. Provenza hardwood floors throughout! Large master suite with huge closet, separate tub & shower, brushed nickel fixtures & Carrara marble counters! Two spacious guest rooms with vaulted ceiling. Large, lush backyard with built-in BBQ, heated spa, beautiful viewing patio overlooking the water, private BOAT DOCK for year round enjoyment.